The Blue Door Theatre has a packed summer schedule. During the months that other theatrical venues might consider their off-season, Coeur d'Alene Summer Theatre is running at full tilt, making it one of the region's top destinations — air-conditioned, of course — for live drama. The theater's schedule is currently already underway with Forever Plaid (until July 1), a 1950s-themed musical about a quartet of starry-eyed singers who miss their first gig as the result of a fatal car crash. "This is a show that, even if they haven't heard of it, they'll know about it after this production," says Summer Theatre Executive Director Kerri Thoreson, who describes Forever Plaid as a "joyful nostalgia trip." Tyler Krieg, who oversaw South Pacific last season, is directing. The award-winning warhorse Guys and Dolls (July 12-29) follows. Directed by Artistic Director Jadd Davis, this Guys and Dolls "won't disappoint the purists but is definitely a 2018 production," Thoreson says. "Jadd brings a different perspective from someone who might have been directing this on the stage in the 1950s, '60s, '70s or '80s." Along with memorable characters such as Nicely-Nicely and Miss Adelaide, this show features "Luck Be a Lady," "Sit Down You're Rockin' the Boat" and other earworms. Capping off the season is the musical version of Legally Blonde (Aug. 9-26), directed by Anasofia Gallegos and starring Kiki Burns as Elle Wood. "Whether you've seen the movie, the musical or neither, it is going to be the absolute best way to spend an August evening," says Thoreson. "It's energetic, it's light, it's fun, it's pink." She estimates that over 1,000 actors from all over the country auditioned for roles in this season's shows — up to and including Legally Blonde's lapdog, Bruiser, which will be played by a 3-pound Yorkie named Bonnie. "I'm excited about the whole lineup. I think we're going to knock it out of the ballpark again this summer." Visit cdasummertheatre.com for tickets ($27-$49), showtimes, cast lists and more. On an island of Agatha Christie's devising, an especially twisted kind of punishment awaits those who have somehow eluded justice. Ten people who've been complicit in others' deaths are lured, gathered and then snuffed. One by one. But how can the ever-dwindling number of guests identify the mysterious killer when everyone around them is suspect? The tense whodunit And Then There Were None, based on what's considered Christie's finest novel, doubles as a Stage Left fundraiser, and runs from July 13-29. Tickets ($20) and more info at spokanestageleft.org. Time is running out to see the Playwrights' Forum Festival at the Spokane Civic Theatre. Put aside the novel you've been working on and consider the singular thrill of having actors bring your scenes to life. Stage Left's annual Playwrights Playground festival is accepting submissions of 10-minute plays for its October event, where the winning scripts will be treated to proper productions. "We get submissions from all over the world, but I would love to get the majority from budding Spokane playwrights," says Stage Left Managing Director Tia Wooley. Email your scripts to her at tiajowooley@spokanestageleft.org. The deadline is June 25, so get cracking. The Blue Door Theatre has a packed summer schedule. 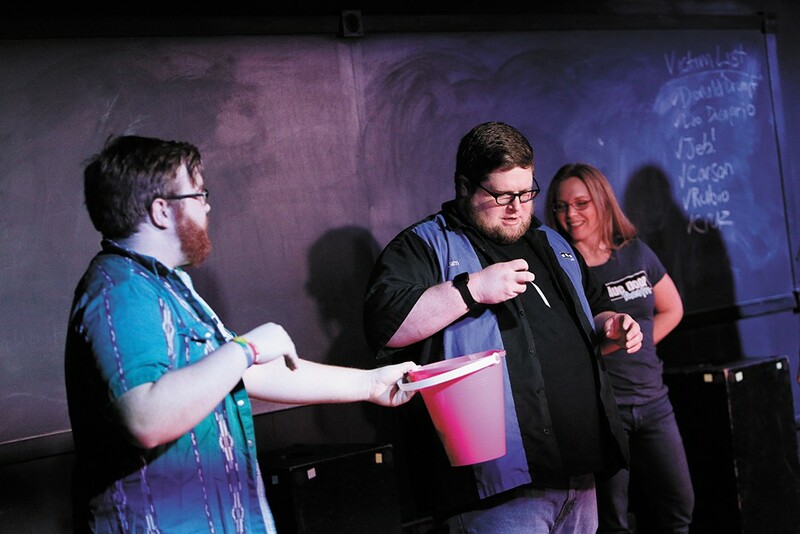 Fridays in June feature Expedition, a family-friendly improv show. On Fridays in July, there's 50/50, its troupe's comic take on your favorite games and TV shows. And starting in mid-August, Blue Ribbon awards you with a wacky visit to the county fair. On summer Mondays, you can see folks free-form during the popular Improv Jam Session. Plus there's "mature" shows like Safari, After Dark and Late Laughs on various Fridays and Saturdays. Visit bluedoortheatre.com for details; tickets are still just $7. 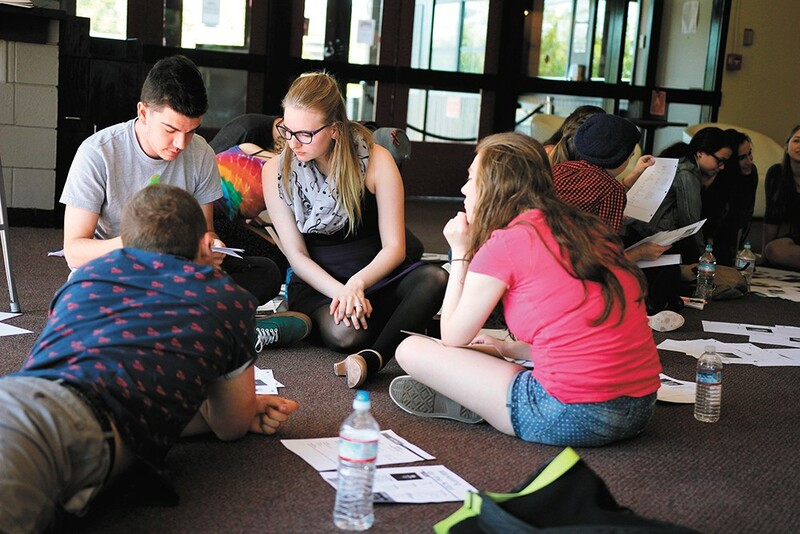 Young actors will be staging several productions at the Spokane Civic this summer. Through Sunday, June 17, you can celebrate three decades of the Playwrights' Forum Festival at the Spokane Civic Theatre. 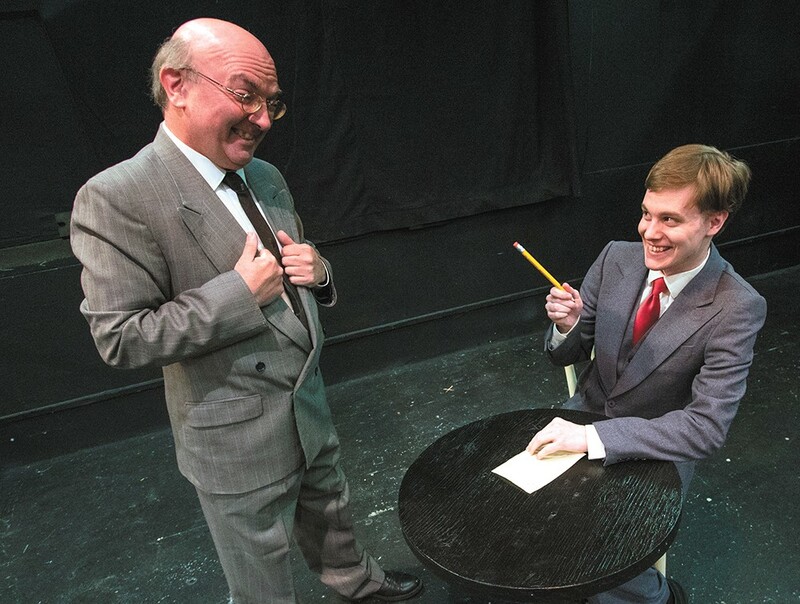 There are two sets of one-act plays in rotation on alternating days, Thursday through Sunday. Rotation "A" features five plays, including Sebastian and Chloe, Working Girl and Love to Go; rotation "B" features four, including Donny and Doodie and Temptress Standing by an Open Window. Five local writers are among the mix. Tickets are only $15. More at spokanecivictheatre.com. Starting June 25, Christian Youth Theater is offering day camps for ages 5-18 (age groups vary from week to week). This summer their camp theme is "The Greatest Show," featuring musical selections from The Greatest Showman, the musical Barnum and more. And from Aug. 2-5, CYT will be putting on a production of The Music Man. Showtimes, schedules and fees are at cytspokane.org. Get a helping of nostalgia, humor, music and audience interaction with Nightmare at Dream Gulch (July 5-29) or Sally's Virtue (Aug. 1-26), two classic melodramas about mining claims, high-stakes poker games and gold — the very stuff of the Wild West, performed by locals in Wallace, Idaho. Tickets to these family-oriented shows are only $10. Visit sixthstreetmelodrama.com. Lake City Playhouse did a schedule swap, replacing the jet-black comedy Heathers with The Wedding Singer, an upbeat musical based on the 1998 film starring Adam Sandler. True to its name, it's about a wedding singer who has an unusually tough time finding and landing Mrs. Right. The show runs from July 6-22. Tickets cost $25 and are available from lakecityplayhouse.org. If the title Sally Cotter and the Prisoner of Ala Katraz sounds eerily familiar but also a little off, well, it's supposed to. This is a good-natured, all-ages parody of the teenage tribulations of everyone's favorite boy wizard. In this installment of the comical Sally Cotter saga, we're transported to Sally's dreamworld, where she has to compete for the Gauntlet of Ire at the Frogbull Academy of Sorcery while evading arch villain Murderdeath. Catch it at Liberty Lake Theatre, July 13-21; visit libertylaketheatre.com. Between July 13 and 29, Spokane Valley Summer Theatre is pulling out all the stops with Into the Woods, the popular Stephen Sondheim and James Lapine musical, which purloins characters (and story arcs) from fairy tales like Little Red Riding Hood, Jack and the Beanstalk and Cinderella and then sets them in a larger narrative about good and evil, desire and choice. Tickets are $38 and available from svsummertheatre.com. Every year, Inland Northwest Opera (inlandnwopera.com) is joined by a captive audience for a sunset cruise and a live in-the-round performance of a classic opera on beautiful Lake Coeur d'Alene. This year it's Franz Lehár's comic operetta The Merry Widow, sung in English. They set sail at 7 pm on July 15. Tickets start at $50. Throughout the entire summer, the Spokane Civic Theatre's Academy is offering a variety of courses for children and young adults aged 6-20. Younger actors will have the chance to stage Harry Potter, Star Wars and Roald Dahl plays; the teenage C.A.S.T. and C.A.M.P. sessions culminate in public productions of Anne of Green Gables (Aug. 24-26) and My Fair Lady (July 20-22). The even more advanced RADAR workshops run June 18-22. Spots tend to fill up quickly and it never hurts to check availability at spokanecivictheatre.com. The summer camp sessions at Spokane Children's Theatre are booked solid, unfortunately, but you can still catch the proud result of the teen camp with their three performances of the school edition of Les Misérables on Aug. 17 and 18. The website (spokanechildrenstheatre.org) has showtimes and more details. It might also be a good time to pick up a 2018-19 season ticket or two. 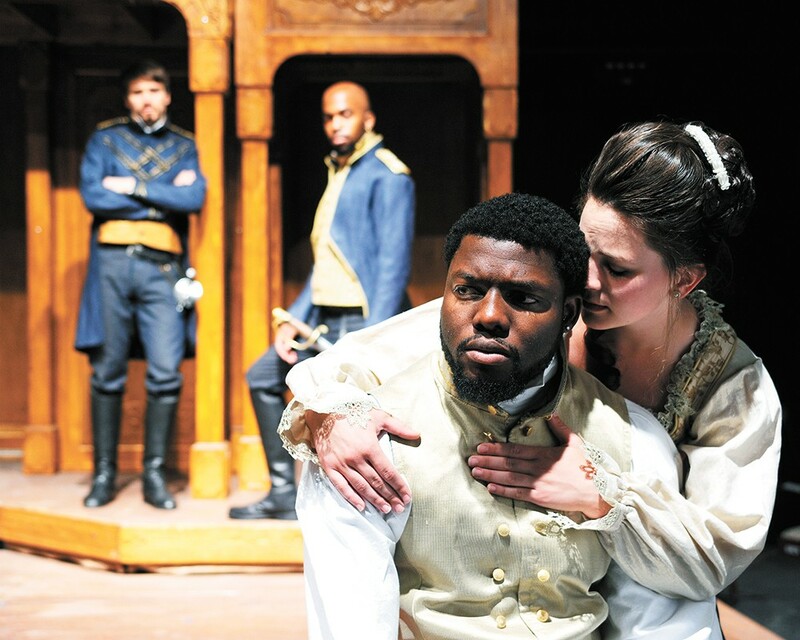 Othello comes to the Bonner County Fairgrounds on Aug. 19. The original print version of this article was headlined "Theater | Summer Guide 2018"